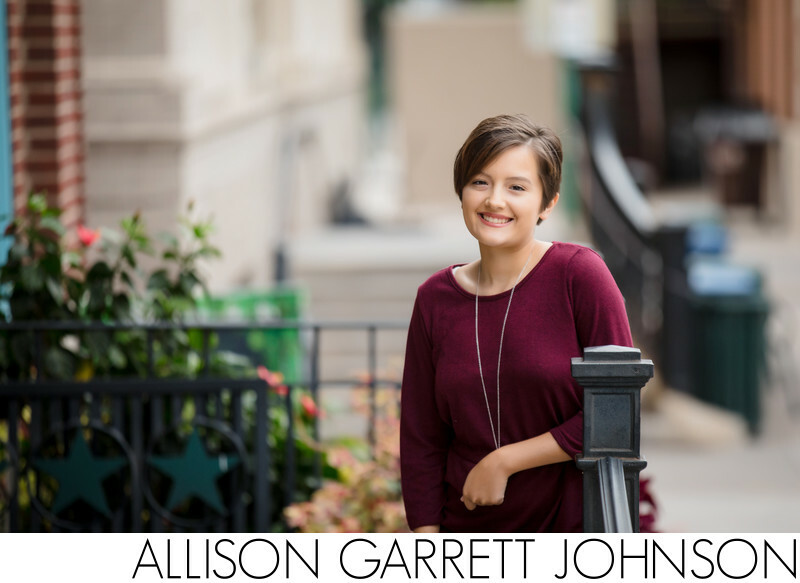 Alexa is a senior at Lincoln Southeast and was photographed in both the Haymarket and at Pioneers Park for her senior session. This particular image was taken on the steps of the Burkholder Project art gallery on P Street. The weather was far from cooperative, but Alexa had a great attitude and I'm thrilled with the final results. Location: Burkholder Project, 719 P Street, Lincoln, NE 68434. Keywords: Haymarket Senior Portrait Burkholder Project (3).